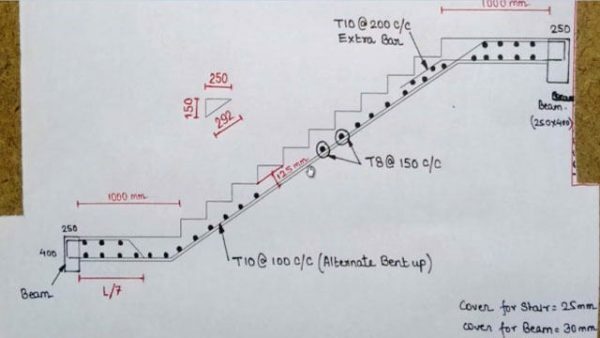 Forming BBS (Bar Bending Schedule) is a practical method for making a staircase using Autocad. On the other hand this is the most useful software used in civil engineering. Stair Reinforcement Details are briefly described in the video bellow. This is highly recommended video for all interested to learn this. From here on you may study the next video tutorial and upgrade your knowledge. Watch the video carefully and build your base for the next level of knowledge.